The Amalfi Coast is truly one of the most beautiful regions in Italy and some would certainly say the whole world! The region has stunning beaches, beautiful blue crystal clear waters, dramatic cliffs, world class hiking, mouthwateringly good food, luxury hotels, pastel villages and is truly the epitome of Mediterranean heaven. You can take countless incredible Amalfi Coast tours from Sorrento to visit beautiful sites and experience all that the Amalfi Coast has to offer. We had the most incredible time exploring the Amalfi Coast and cannot wait to be back there in a few weeks time and wanted to share our highlights and essential Amalfi Coast Experiences. The Amalfi Coast is well known around the world with food lovers for their delicious cuisine which is created using the freshest of local produce. The region boasts some of the best seafood in the world with most restaurants serving up whatever fish is caught fresh that day! There is nothing like eating fresh fish whilst sitting by the seaside, overlooking the water that it was caught from. In addition to their incredible fish and seafood, the Mediterranean sun and ideal climate also ensures that fruit and vegetables grown in the region are ripened to perfection. The Amalfi Coast is also known for their production of olive oil and excellent wine where the trees and vines grow on almost vertical hillsides. Thanks to the fertile, volcanic soil the tomatoes (a staple in Italian cuisine) from the region are some of the best in the world and we are yet to find any that even come close! The slow paced lifestyle of the Amalfi Coast ensures that you will have plenty of time to relax and enjoy mouthwatering cuisine that is produced using the finest, freshest produce in the beautiful surroundings. Whether you are seeking the finest in Michelin starred dining or cheap and freshly caught seafood, it is a guaranteed you find your perfect dining experience on the Amalfi Coast. A visit to Italy also wouldn’t be complete without trying as many flavours of Gelato during your holiday! The Amalfi Coast has no shortage of gelato shops and one of my favourites was the sweet delicious lemon gelato made from the many lemon trees which dominate the region. Beautiful golden lemon trees dominate the Amalfi Coast landscape and are the base of Limoncello. Limocello is the traditional liquer which is distilled from lemon peel and produced along the Amalfi Coast. Most meals on the Amalfi Coast will end with an after dinner digestivo of limoncello. The traditional and much-loved lemon liquer is thick, sweet, potent and full of fresh, zingy lemon flavours. There are countless shops serving beautifully decorated bottles of Limoncello so you can take a little bit of the Amalfi Coast home with you (which we did)! 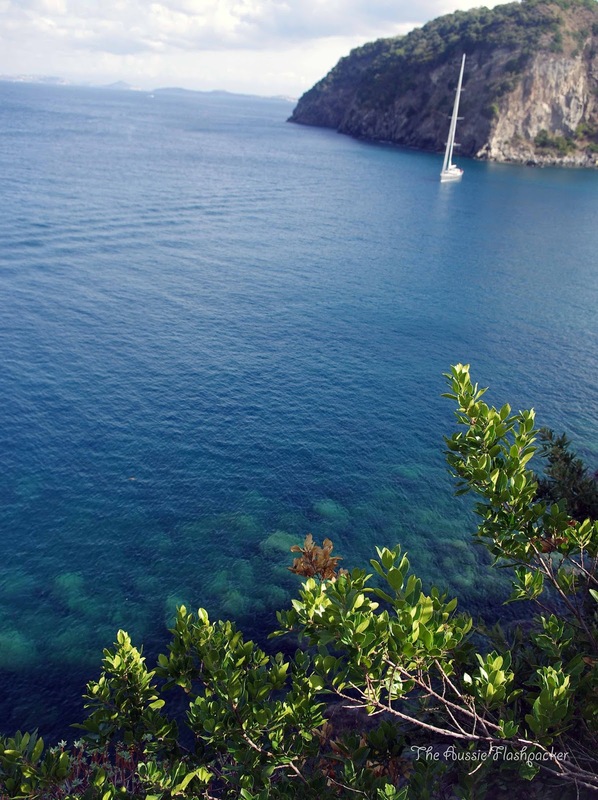 An essential Amalfi Coast experience is of course, swimming in the Mediterranean! The sparkling blue sea is crystal clear and for most months of the year the seas are very calm, inviting and a lovely temperature! The region also offers an excellent environment for snorkelling and diving and for those who may wish to stay dry, most towns along the coast offer kayaks that you can hire! The Amalfi Coast boasts some incredible hiking opportunities with the most famous being the Il Sentiero degli Dei, which is also known as the Path of the Gods. We spent a day hiking the Path of the Gods from Positano to Praiano and it was the perfect way to experience the breathtaking natural beauty of the Amalfi Coast. The hike is physical but completely worth it when you are rewarded time and time against with the the most dramatic panoramic views of the sea, coastline, villages, sheer cliffs and almost vertical vineyards & terraces. No matter where you are on the Amalfi Coast it is guaranteed that you will catch a breathtaking sunset during your visit. Our most memorable sunsets are from watching the sun set over the hillside of Positano and whilst watching the sunset over the sea and cliffs from our beautiful hotel, Casa Angelina in beautiful, sleepy Praiano. Positano was made famous in the Dolce Vita years by the glamorous movie stars who flocked to the seaside town and is now a shoppers paradise! The gorgeous pedestrian streets are lined with shops bursting with colourful beach wear, handmade leather sandals and bright ceramics with the occasional gelato shop and cute beachside cafes thrown in the mix! One of the best ways to take in the beauty of the Amalfi Coast is from the sea and many visitors choose to take a boat tour along the coastline or to the nearby exclusive Island of Capri. Capri’s fame dates back to when her beauty charmed Roman Emperors and in last century, Hollywood stars. The island is very popular and there is a combination of luxurious hotels, fancy restaurants and designer boutiques along with Roman ruins, beautiful beaches, secluded coves and hidden grottoes. It is very popular with Italians and tourists alike with many choosing to take a day tour to idyllic Capri! There’s countless ways to explore the beautiful coastline and islands, which you can read all about in our Guide to Getting around the Amalfi Coast. All the gorgeous towns and villages of the Amalfi Coast have their own charms and beauty but Positano was the one that won me over. As John Steinbeck wrote in 1953 in Harper’s Bazaar: ‘Positano bites deep. It is a dream place that isn’t quite real when you are there and becomes beckoningly real after you have gone’. He perfectly summarises this gorgeous pastel coloured town where its whitewashed houses cascade down into the sea. Ravello is a short drive from the town of Amalfi and is perched upon a cliff overlooking the coastline. Ravello is renown for its annual musical festival, beautiful gardens and breathtakingly beautiful views. It is well worth making the stomach churning bus ride up to Ravello! Whilst not officially on the Amalfi Coast, Naples and the historical sites of Pompeii and Herculaneum are easy to visit on a day tour. Naples is brimming with culture, history and wonderful cuisine. One of the world’s most popular and favourite foods, Pizza is said to have been invented in Naples itself! It is possible to climb Mt Vesuvius, the volcano which erupted in 79AD and devastated the prosperous Roman towns of Pompeii and Herculaneum and killed thousands. It wasn’t until the 18th century that these towns were rediscovered and excavated, providing us with a unprecedented archaeological record of everyday life in ancient Rome. Today, Mt Vesuvius is the only active volcano on the European mainland although it doesn’t stop thousands of tourists flocking to the mountain and also to the historical sites of Pompeii and Herculaneum which are unique and incredible places to experience. UPDATE: Naples also just recently earned itself UNESCO World Heritage status for it’s pizza making! UNESCO has added the art of the Neapolitan pizza maker, or “pizzaiuolo”, to its list of “intangible cultural heritage of humanity”. I think that gives you another pretty awesome reason to add Naples to your Italy list. The Amalfi Coast is truly one of the most beautiful parts of the world and there is no shortage of places to visit and things to do during your time in the region. Whether you are looking for world class seafood, thrilling hikes, crystal clear waters, history, architecture or natural beauty there is something for everyone in this beautiful part of the world. One of the best ways to see all the region has to offer is by taking a tour which will ensure you can completely appreciate the spectacular beauty of the Amalfi Coast as well as visit the best restaurants, shops, beaches and towns along the way! Our Amalfi Coast Photo Diary will give you countless more inspiration to visit this beautiful part of the world. Have you been to the Amalfi Coast? What were your favourite parts of this beautiful region?This post is brought to you in collaboration with Sorrento Coast Limo.